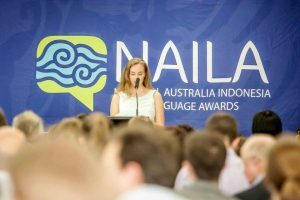 The National Australia Indonesia Language Awards (NAILA) is an annual competition that rewards and fosters the development of Indonesian language learning in Australia at all levels. Primary school students through to executive level speakers are invited to participate in the competition that culminates with a national awards ceremony and networking program. Participants have the opportunity to showcase their language skills, discuss bilateral issues and share traditional arts, culture and musical performances with the public. Past NAILA awardees have included students learning Indonesian by distance education through to professionals working in government, academia and the arts. NAILA’s mission is to incentivise language learning and reward high-level proficiency. This will encourage deeper communication, respect and understanding between our two nations. 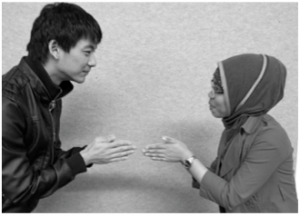 Encourage the uptake of Indonesian language learning in Australia and establish a bilingual dialogue on bilateral issues through public speeches. 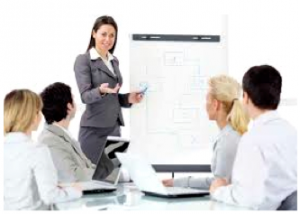 Provide incentives and assistance to those who are learning or wish to learn Indonesian. Publicly recognise those who are experts and have excelled in Indonesian language. Showcase Australia’s ‘hidden’ language skills. Share Australian culture, arts and opinion with an Indonesian audience. NAILA aims to combat the decline in Indonesian language studies in Australia (at primary, secondary and tertiary levels) despite an increasing awareness of our proximity to Asia and of the importance of Asia to our future. Indonesian is taught widely in primary & secondary schools … however numbers are declining rapidly! – Jewel Topsfield, The Age, 19 November 2014. – Monika Winarnita, La Trobe University News, 2 February 2013. Between 2001-2010 enrolments in Indonesian at Australian universities declined in every state and territory. 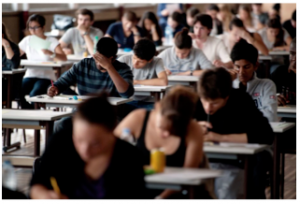 Indonesian language enrolments fell nationally by 37 per cent. 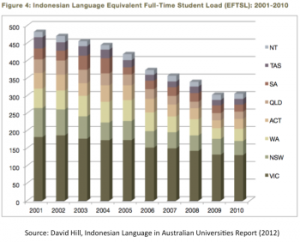 There were fewer year 12 students studying Indonesian in 2009 than there were 40 years ago. NAILA is also motivated by the need to improve Indonesian language fluency and cultural understanding of Indonesia within Australia. – Michelle Kohler & Dr Phillip Mahnken, 2010 Report. – Andrew Parker, The Age, 19 November 2014.